Epson’s high-performance Force Guide takes robot automation to the next level with superior precision and outstanding rigidity. 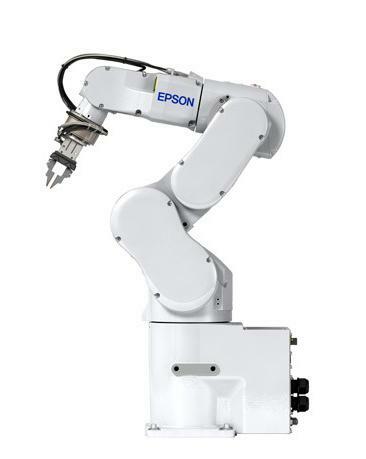 Powered by proprietary Epson Quartz Technology, it enables Epson robots to detect six axes of force with precision down to 0.1 N. Driven by real-time servo system integration, Force Guide delivers fast, tactile feedback to guide robots for high-precision parts placement. 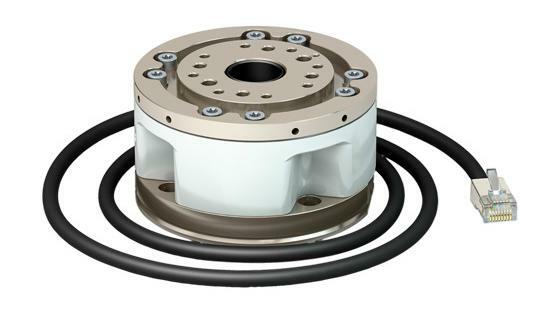 Easy to configure and set up, Force Guide features a point-and-click interface with pre-configured solutions and built-in objects, reducing the development time for precision repeatability applications. 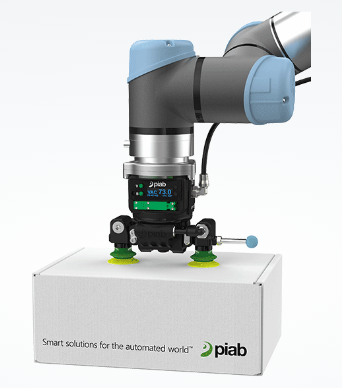 ﻿The piCOBOT is compressed air driven vacuum gripper designed to work directly with a Universal Robot, and to act as a flexible co-worker in a variety of production, packaging or assembly lines. Adaptable, powerful and light-weight, it really offers the ideal extra “pair of hands”. Ergonomic, safe and adaptable, this user-friendly solution promises to increase productivity while reducing the risk of injury to your team. It also is very easy to program. 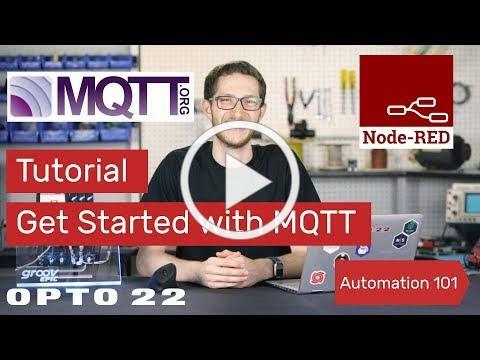 Learn how to get started using Opto 22 MQTT with Node-RED. The IoT is all about interconnecting devices. MQTT is a lightweight publish subscribe based protocol that relays data through a central broker. SWIR (Short-Wave Infrared) Filters enhance the image quality of InGaAs camera technology for a variety of machine vision applications. These are designed to pass the most common SWIR LED wavelengths while blocking visible light. These filters can be used for various inspection tasks in the food and beverage, woodworking, textile or automotive industries. SWIR filters are useful for applications imaging from 900-2300nm. The new Midwest Optical Systems Pi1000 Series NiR Polarizer is effective in both the visible and infrared, ranging from 400-2000nm. It’s efficient in glare reduction, with an average contrast ratio up to 8,000:1 and has an operating temperature rating of 100° C per 1,000 hours. The Pi1000 is 40% less costly than current products on the market, making it an economical solution. MidOpt mounted Polarizers thread onto the lens. Rotating the mount and visually observing the results makes it easy to determine the position at which glare reduction is maximized. 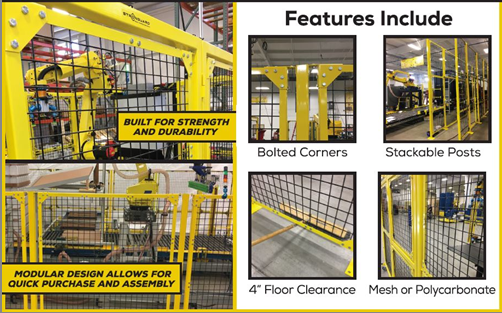 Swivellink Stronguard® is a powder coated industrial guarding line built to solve two needs in automation and manufacturing. Modularity - the design allows for product to be stocked on the shelf and assembled quickly. No more waiting for custom guarding. Strength - Stronguard® was designed and manufactured with durability, longevity, and strength in mind. 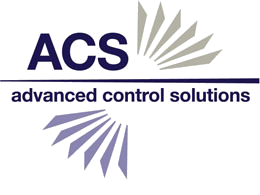 No more cheap guarding in your plant. 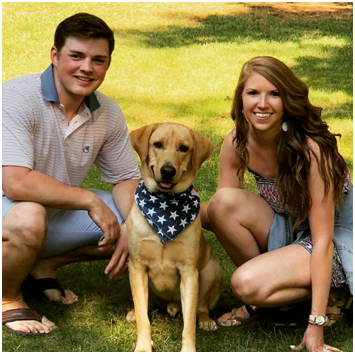 Presenting: our seventh Dog Spotlight! What would you like to know about engineer Trevor Phillip's dog Chief? A winner will be chosen from each of our Alabama Collaborative Robots workshops. The winner will receive a gift card to drive a NASCAR race car for a 5 minute timed racing session by themselves, on one of the nation's premier speedways!